This recipe is from my Mom's friend, Renee. Renee served this dip at her house one night, and my Mom and Dad just raved about how great it was. I emailed Renee and asked for the recipe and she was happy to share it with me. We made the dip last weekend and it was wonderful! I loved how creamy it was. It also didn't have an overly crabby taste, which was good since I am not a seafood fan. 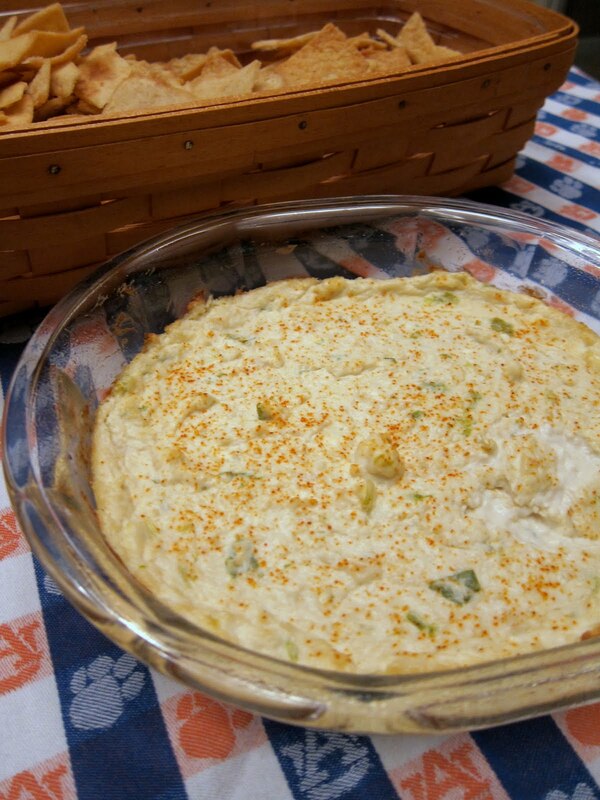 The only seafood I will eat is a little bit of crab, so this dip was perfect for me! Give this a try at your next tailgate or party - your friends will thank you. Mix all ingredients together and pour into baking dish. Bake for 20 minutes. Serve with rye bread, pita chips, crackers and/or vegetables. With that line up of ingredients it's got to be fabulous. Thanks for the recipe Stephanie. Yum- crab dip is my favorite! Crab dip is amazing! It looks so good! Don't know why we haven't made this lately, the boys love this stuff. This sounds soooooo good, Steph! Especially as I sit here watching the games on opening weekend!! This looks insanely delicious! Rich and so creamy! Just the opposite here, big crab fan, not so much of a football fan. I'm wondering how this would be in a small crock pot instead of baking .....? Renee1003 - interesting idea! I don't see why that wouldn't work. If you try it, let me know how it turns out. Enjoy!